--- Was very professional & proactive at all times!! Very diligent in selling the property. --- My overall experience was a great one. Lori Hayne did a great job in promoting and of the selling of our home. ---- Lori was our agent for the purchase of two condo's. Although there were some challenges and "run arounds" with our purchase, Lori went above and beyond to negotiate and make sure everything was taken care of on our behalf and in our best interests. She is easy to talk with and want's what is best for her clients. She works hard and is always available for any questions and responds quickly. Would recommend her services to anyone looking to sell or buy. Thanks Lori! Lori was great!! She was fantastic and really helped us in the steps of buying a new place while we were out of town. --- Lori Hayne was an incredible agent to deal with and helped me buy my first home. It was very nerve wracking to finally be taking this very big step but she made the process virtually seamless and I never felt stressed at any point. I'm very pleased with my purchase and would highly recommend Lori for any future home buyers!! Thanks again Lori!! Lori was great! Everything was memorable, she was so awesome to work with! There was nothing we’d rather forget! She was so great with everything! Lori was by far the best agent we’ve ever worked with! She was so patient and understanding and was always there when we needed anything or had any questions! I would recommend Lori to anyone we know looking to buy or sell a house as she was great and worked so hard doing both for us! 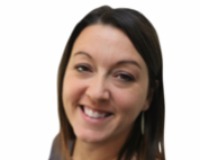 Brandy Pal, Edmonton ---- If you're looking for an agent that has your best interest at heart and looks into every tiny detail to ensure you're getting exactly what you're looking for - I highly recommend Lori Hayne. She went above and beyond to make sure all of our needs and concerns were addressed in a timely fashion. It's extremely important to find an agent you trust when making such a large investment, and we're thankful we found Lori to help us through the buying process. Lori was knowledgeable, nice and friendly, and always responded to us quickly. She took away a lot of the stress that comes with selling a house and looking for a new home, plus she's a great negotiator. I can't say enough good things about her. -Lori buyer & seller clients! ---- Lori went above and beyond with ensuring the final sale of our home. We were out of province for the remaining steps of the sale process. On the day of the price agreement, we left our home in the rear view mirror with a whole lot of uncertainty. But we came to the quick realization that our home was in good hands. Lori was dynamite in every step that was required in closing the sale of our home, from the home inspection, to organizing the repair of the foundation, and ensuring the overall safety and security of our home. We are currently looking for our next dream home in Ontario, and that wouldn't be possible without Lori's amazing performance selling our home. Thank you Lori for everything! Lori has been fantastic! She was very patient with us and helped us find our new home very quickly!